So far in our series on correcting tone and color problems in our images, we've looked at Photoshop's three Auto image adjustments (Auto Tone, Auto Contrast and Auto Color) and how they can instantly boost contrast, and even remove an unwanted color cast, from a photo. We then learned how we can apply these Auto commands as adjustment layers to keep our image editing non-destructive. While the Auto commands in Photoshop have their place, and are certainly popular thanks to the fact that they run on auto-pilot, they don't always do the best job. In fact, when it comes to retouching our photos, the saying, "If you want it done right, do it yourself" is usually true. 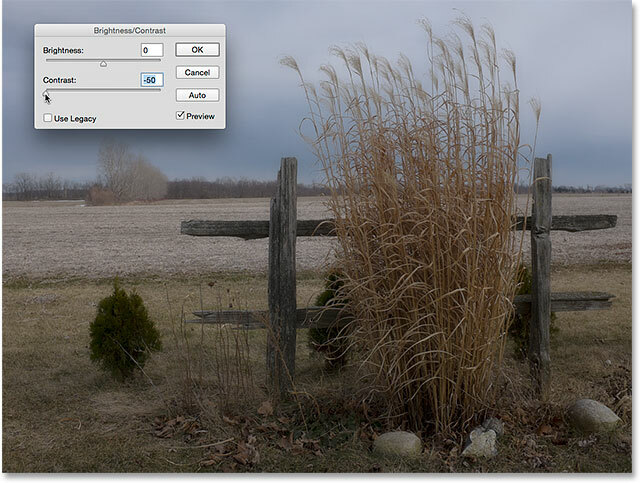 So in this tutorial, we'll look at the first of Photoshop's manual image adjustments, the Brightness/Contrast command. 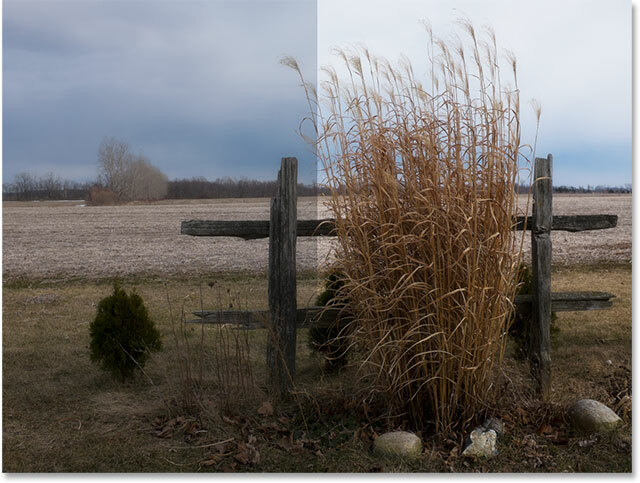 If you're new to Photoshop and "manual image adjustments" sounds a bit scary, don't worry. As we're about to see, using the Brightness/Contrast command couldn't be easier or more intuitive, especially since there's only two sliders; one for brightness, and one for contrast! How simply is that? 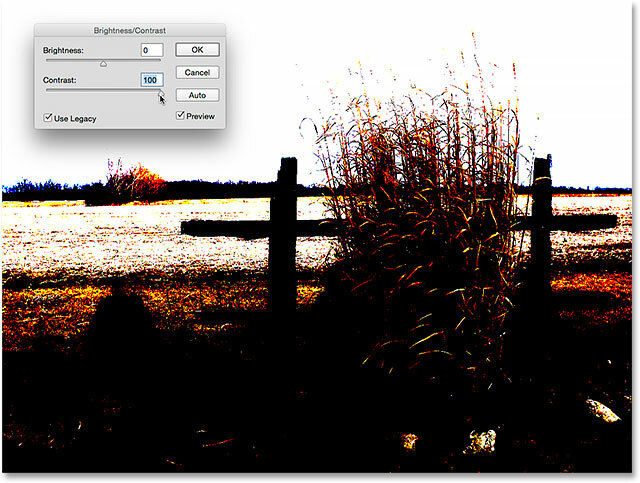 As with most of Photoshop's image adjustments, there's two different ways that we can apply Brightness/Contrast. 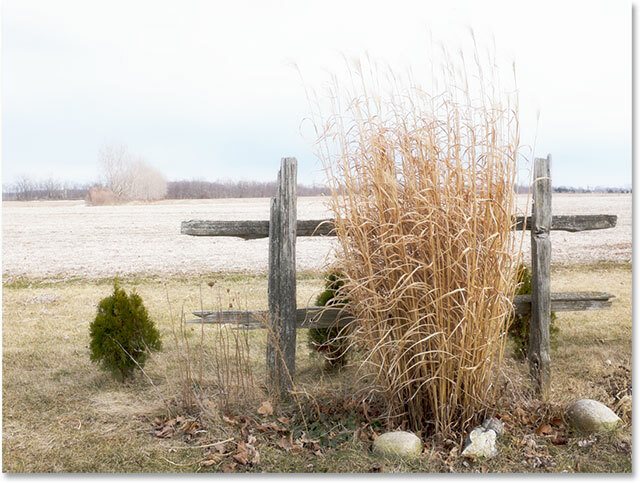 One is as a static adjustment; the other is as an adjustment layer. We'll start in this tutorial by covering everything we need to know about how Brightness/Contrast works and how to apply it as a static adjustment. In the next tutorial, we'll take everything we've learned here and see how to apply the exact same command as a non-destructive adjustment layer. I'll be using Photoshop CC (Creative Cloud) for these tutorials but everything is fully compatible with Photoshop CS6. As I mentioned, we'll start by learning how to apply Brightness/Contrast as a static adjustment. The term static adjustment means that we're making changes to the actual pixels in the image. Normally, we want to avoid that as much as possible, not only because it alters the original photo but also because it makes it much more difficult to go back and edit our adjustments layer. Yet there are steps we can take to make our static adjustments less damaging and destructive. The best way to do that is by taking advantage of layers in Photoshop and applying the adjustment to its own layer that's separate from the original photo. A copy of the photo appears above the original. Double-clicking on the layer name. The top layer has been renamed "Brightness/Contrast". Going to Image > Adjustments > Brightness/Contrast. The Brightness and Contrast settings that Photoshop came up with. The image after applying Auto Brightness and Contrast. If you remember from the tutorial on the Auto Tone, Auto Contrast and Auto Color commands, if we apply any of those commands to our image and don't like the way it looks afterwards, we're pretty much out of luck since they offer no way to adjust or fine-tune the results. 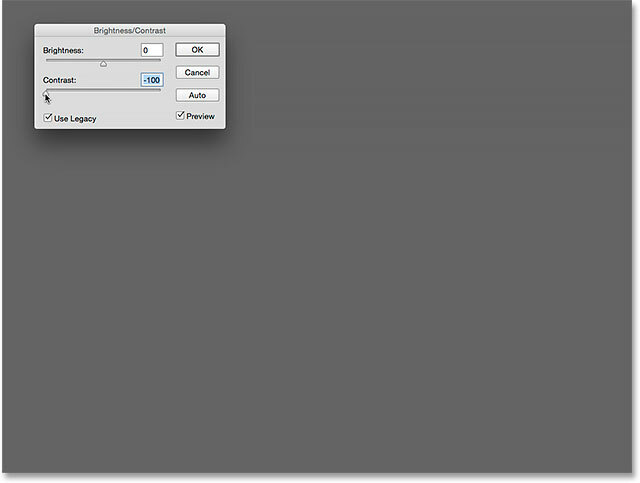 That's not the case with Photoshop's Brightness/Contrast command. Once you've tried the Auto button, you can then make your own manual adjustments to further improve the image using the Brightness and Contrast sliders. 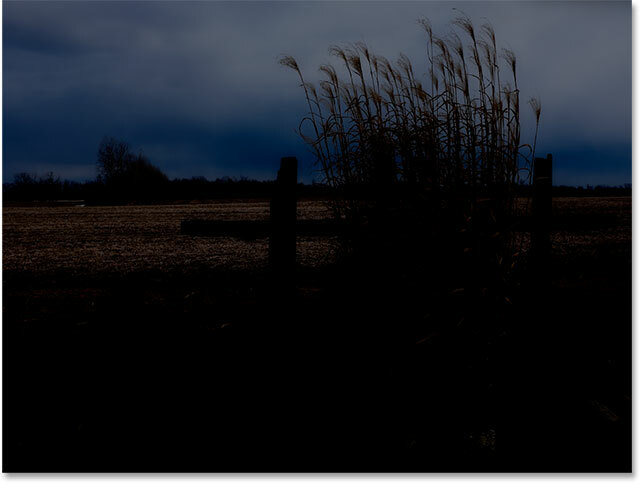 Dragging a slider towards the right will increase brightness or contrast, while dragging towards the left will decrease it. In my case, I want the photo to have a bit more "pop", so I'll click on the Brightness slider and drag it to the left a bit to lower the brightness down to 38. Then, I'll boost the contrast more by clicking on the Contrast slider and dragging it to the right to a value of around 35. Manually adjusting brightness and contrast with the sliders. A "before and after" comparison of the image. Turn the Preview off to view your original image at any time. Selecting the Use Legacy option. Cranking the Brightness value with Use Legacy enabled. The image with Brightness set to max and Use Legacy on. Turning off Use Legacy, then again cranking the Brightness value. This time, the image still looks too bright (normally, you wouldn't increase the Brightness value this much), but notice that the darker areas are still dark, and that I still have detail in my highlights even with the Brightness value maxed out. It's almost as if Photoshop knew which tonal values needed to be brightened and which ones should be left alone, and in fact, that's exactly what's happened. Brightness set to max, Use Legacy off. Turning Use Legacy on, then decreasing the Brightness value. Brightness set to minimum, Use Legacy on. Lowering the Brightness value with Use Legacy off. Brightness set to minimum, Use Legacy off. Contrast set to max, Use Legacy on. Contrast set to max, Use Legacy off. Contrast set to min, Use Legacy on. Contrast set to min, Use Legacy off. So, now that we've seen how bad of a job the Use Legacy option does, is there ever a reason to use it? Unless you need it for creating some special effect, then the simple answer is no. It's only there to remind us of how Brightness/Contrast used to work, and that's really just for the benefit of long-time Photoshop users. For us, it served as a great way to show just how powerful the Brightness and Contrast sliders have become. Now that we've done that, you can safely ignore the Use Legacy option forever. Press Alt (Win) / Option (Mac) to change the Cancel button to Reset. Clicking OK to accept my settings. Clicking the layer visibility icon again. Lowering the opacity of the Brightness/Contrast layer. And there we have it! In this tutorial, we learned how to use a Brightness/Contrast image adjustment in Photoshop to improve the overall brightness and contrast of an image. The only downside is, we've applied it as a static adjustment, which means that once we've committed our settings, we can't go back and change them (at least not without undoing what we've done and starting over). In the next tutorial, we'll take everything we've learned here and see a better way to apply Brightness/Contrast, and that's as a flexible, non-destructive adjustment layer.